With customary dodgy forecasts, this trip had looked typically marginal as usual! As I had commitments in London on the Monday, we'd also decided to keep it to a two-day trip. Arriving early evening Friday as the advance guard, I was "delighted" to find that all the usual candidate campsites were seriously full ... I finally managed to squeeze into one ("Acton Field", just west of Langton Matravers) that was already pretty packed but where they hadn't already put up the "Full signs". Promisingly it was chilly and raining! Richard, Dan J and Bridget arrived early Saturday morning, having got through the M3 and A30 bottlenecks well before the Bank Holiday crowds. 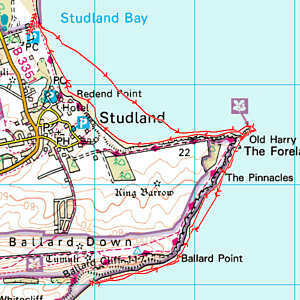 After getting all the tents up (they managed to squeeze in, too), then given a stiff south-westerly wind forecast, we decided to play safe and head for Studland Bay and the route round to Swanage. 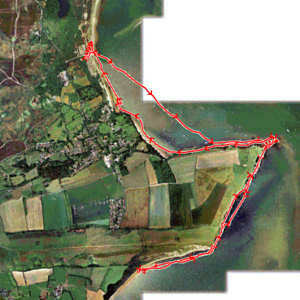 No dramas, just a pleasant paddle round past Old Harry to sit on the beach and have lunch - whilst we watched Dan (clearly in serious training) paddle on across the bay to Swanage itself. Then back to a cream tea in the National Trust café at Studland, back to the campsite and a stroll down to the pub in Langton Matravers. We were packed and out early Sunday morning, and met Hilary and Peter in Poole for a trip to Brownsea Island. Would we find any red squirrels? 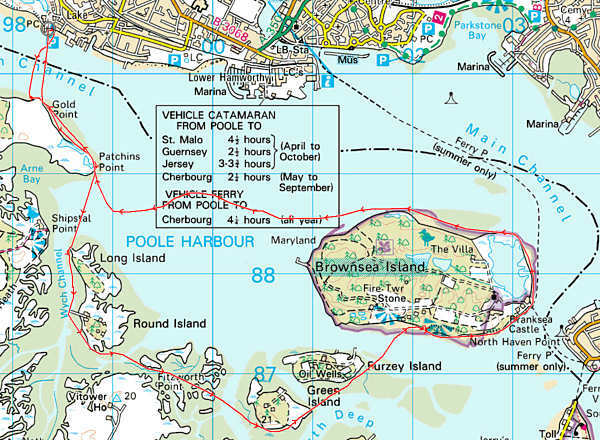 We headed off on a scenic tour along the south side of Poole Harbour, finally landing on Brownsea Island, locking the boats up and making ourselves slightly more decent. A pleasant stroll across the island, a wander round the visitor centre, and we had a nice lunch at the - guess what - National Trust teashop. No sign of squirrels unfortunately - Hilary had to content herself with buying one! - even though we tried to be as quiet as possible on our walk back through the woods. 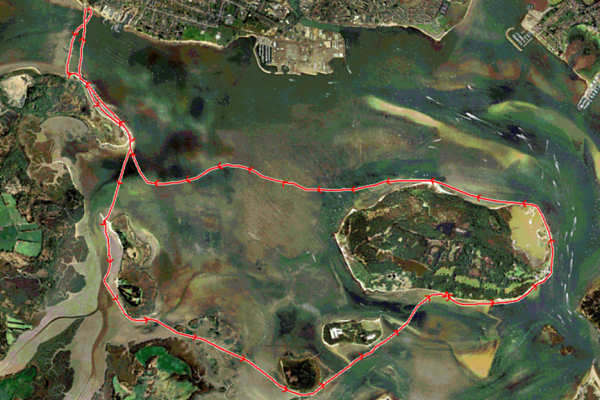 The return trip to Poole turned out to be pretty tough, the wind having got up to a good Force 5-6 - so we had to tack a bit to take advantage of whatever shelter we could find. Oh - and Hilary managed to sell her boat before we left (a pre-arranged appointment with someone who'd seen her advert) so she and Peter returned home a little lighter! All images ©2006 CSCC. Pictures by Dan J, David P, Peter and Hilary.